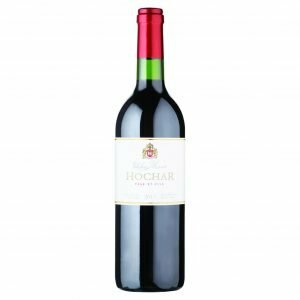 The Hochar family’s philosophy of respect for the environment means that the 180 hectares of Musar vineyards are managed with minimal human interference and all the wines are made naturally. Chateau Musar was the first producer in Lebanon to achieve organic certification for its vineyards in 2006. Most are located in the Bekaa Valley, cradled between two mountain ranges running parallel to Lebanon’s Mediterranean coastline. Vines have been cultivated here for at least 6,000 years: the Phoenicians (seafaring ancestors of the modern Lebanese) were instrumental in bringing vines and wines from Byblos across to all of the areas around the Mediterranean. Flanked by snow-covered mountains, and nestled at 1000m (3,000 feet) above sea level, the serenely beautiful Bekaa Valley is blessed with 300 days of sunshine a year, fresh mountain breezes and an average temperature of 25°C (encompassing snowy winters and hot summers). Remote and unspoilt, the Musar vineyards were ‘organic’ by default before the term was coined. All the grapes are hand-harvested by local Bedouins between August and October. In the winery, ambient yeasts do the work of fermentation. 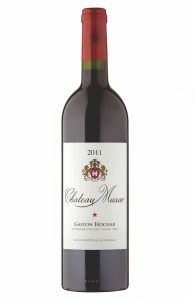 The bare minimum of sulphur is used and the Chateau Musar Red wines are neither fined nor filtered. Chateau Musar also produces L’Arack de Musar, Lebanon’s purest aniseed flavoured spirit.